Home » Blog » CRM Governance – Donors are Eggstra Special! CRM Governance – Donors are Eggstra Special! A CRM deployment requires its own relationship management strategy. You may have separate entities each having their own spreadsheets, databases and rules. Having all this information in one place, your new CRM, means that you have to discuss governance. By this, I mean governance of data management (what users can do what to the records), governance of the donor (who “owns” the donor) and governance of business process (which department wins). Consider an open data management model. I’m proposing that all users can see all donor records and do everything to a donor record. Everything. Update addresses, merge record and so on. Yes, start here but focus the conversation on how sharing data will enable more holistic donor engagement strategies. The value of open data. Sure, point #1 is a conversation starting place: you may have compelling reasons why you need to whittle this to be more restrictive for the sake of your donors. And yes, a user might mistakenly update a record, it’s a risk. However, everyone in your organization is cleaning the data by using it, and that could outweigh the risk of errors. In the end, this nonrestrictive model will lead to more accurate data on your high value constituents. “These are MY donors.” The risk with this shared CRM space is that a donor could receive 10 of the same mailing or email – not sanctioned by the account manager. Another department could send your donor a mailing. The answer to this lies within: Your CRM implementation is the time to build a single organizational strategy around pathways for donors to choose what they receive. Ooops. Even with a coordinated communications strategy, a donor could be included in a mailing they didn’t request; this is the risk with being on a unified CRM. Apologize and move on. If you are saying “ooops” frequently, find the root cause by reviewing your segmentation and business process. Who “owns” the donor? The donor owns the relationship they want to have with you. So let them. Build your CRM infrastructure to let the donor chose what they want and don’t want. And let them update their information. These days, we check-out our own groceries, bag our own groceries, deposit our own checks via phone app and buy shoes and clothes online. Self-service is here. A communications calendar. I hear the groans. Until you know who gets what when, you’ll run the risk of donors receiving 300 messages from you on the same day. Sure, with our self-service model, they signed up for this stuff but the schedule has to make sense. And back to point #3 “these are my donors”, without coordination, you’ll instantly lose credibility with those hesitant to share data. Change management. Convince others that this open model will help you be more efficient, clean the data and finally, allow you to interact with donors in new and more holistic ways. Build trust with your staff, acknowledge the risk and talk about the benefits. Finally, own it when something goes awry. Create a CRM Government! Create a cross-functional team that among other things: decides whether the communication / solicitation calendar makes sense; if/how unplanned for initiatives fit it; finds a path when business processes from different departments conflict. 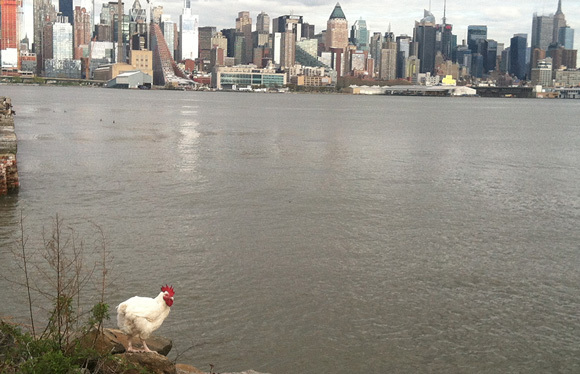 Face it, the days of the “black address book” are over and roosters can live in the city. The donor owns their relationship with you and your responsibility is to create a menu of options for them that is supported by your CRM. Sunny side up!